essential success factor for AI in the future. It has been a little more than a year since I first got in touch with AI. Until then –having followed a rather classical management education with internships in business consultancies – my idea of organisational change and development had been dominated by the paradigm: analyse it, fix it, control it. My masters’ thesis, which followed, then gave me the chance to talk to a variety of inspiring, open-hearted, intelligent people – many of whom have already written for this journal – who helped me in shaping a clear picture about the status quo of Appreciative Inquiry in all its diversity, and its potential future. Considering my short experience with AI I am very thankful for this opportunity to share my first impression of AI and the resulting findings with you. I would therefore also like to invite you to read this article not only on the content level but also as a description of a first encounter with AI and its community. of existing literature, actively looking for weak signals. By doing so, I quickly realized the broad variety of AI’s underlying philosophies, theories and paradigms, a fact that in my opinion has an important influence not only on the status quo but also on the potential future of AI. These include essentials such as social constructionism, dating back as far as Heraclitus of Epheseus (Mahoney, 2005) and adapted to modern times by Berger and Luckmann (1991), as well as Lewin’s (1947) action research, Beckhard’s (1969) ideas about organisational development, positive social psychology by Fromm (1962), and Seligman and Csikszentmihalyi (2000), as well as more recent influences such as: generative theories by Gergen (1993), Theory U by Scharmer (2007), or overarching fields of influence such as interpersonal neurobiology. Without going into too much detail, this broad spectrum of influencing and influenced theories gave me a first indication of the extensive applicability of AI, motivating me to interview practitioners and researchers from different field of application and different parts of the world. A further deep-dive into literature in combination with an analysis of interview results led to a number of interesting findings about the perceived status quo of AI and its potential future. Practitioners and researchers currently see the main strength of AI in its generative capacity, fostering responsibility-taking and commitment by creating connections and stimulating communication. Furthermore, AI allows for applications in a wide range of situations and can be combined with other change methods. On a more critical note, members of the AI community see incorrect applications of AI as a high risk for the method, reducing its credibility, especially when applied through a simplified positivity-focus, without sufficient background knowledge on the part of the practitioners. Moreover, AI has a too optimistic, naïve view of organisations, lacking self-reflection and self-criticism; not only in the literature but also in considering the possible negative effects of AI, such as creating a “shadow” or in supporting undesirable power relations. The lack of measurability of results and the difficulty of achieving sustainable effects through AI, are also potential weaknesses. In order to achieve AI’s full potential, practitioners must overcome a variety of obstacles which, when handled successfully, can be important success factors. These include an early integration of client management to ensure support from the client’s side, overcoming power relations and control issues, assuring a consistent communication in order to achieve trusting relationships, defining an energising topic at the outset of an intervention, and clearly defining expectations in the contracting phase in order to avoid disappointment. and finally, differing perceptions about the role of positivity in theapplication of AI. Recent trends in the field of AI include an on-going increase of awareness of and openness toward the method, leading to the application of AI in formerly atypical fields, such as conflict resolution or evaluation studies. Moreover, AI is spreading into and integrating elements of related fields, such as positive psychology, neuroscience or complexity theory on a theoretical level; and other dialogic OD methods, such as World Cafés and Future Search; and, on a practical level, process-improvement methods such as Lean Management. The most discussed and most important ongoing trend, however, is a change of awareness about the core of AI, shifting from a positivity-focused to a generativity-focused approach, allowing for an integration of negative aspects into the AI process. According to my interview results, the potential futures for AI are manifold. One potential future consists of an increased focus on the emotional and spiritual elements of AI. Another sees a return of AI as a tool for academic knowledge creation. Practitioners predict a further evolution of AI into other fields of practice, a stronger link between AI, strategy and core processes in organisations, as well as the development of new tools and frameworks. Many of these results will not come as a surprise to those who have been involved in the AI community for many years. However, these findings also indicate that only a limited number of topics, such as the discussion about generativity versus positivity, are often at the core of discussions within the AI community; thereby leaving less room for “weak signals”. These weaker signals can be found in theoretical discussions (e.g. the combination of planned change with social constructionism), as well as in practical application (e.g. regional differences depending on cultural backgrounds, the use of new frameworks such as the integration of a “drenching” phase into the 4D cycle, or the use of the SOAR framework for personal development). Several interviewees also pointed out the importance of seeing practitioners of AI themselves as a subject for further research; thereby allowing for a more selfcritical reflection of AI, which may ultimately provide new insights to the entire AI community. For AI to flourish in the future, this exchange has to take place among practitioners, in order to exchange new forms of application and develop new models and tools. Between researchers and practitioners this exchange is necessary to clarify underlying philosophies to new practitioners and to provide researchers with new trends from the field to help them refocus their research. Considering the vast variety of current trends, and seeing them as an indication of the future direction of AI, the general outlook is very optimistic and diverse, if collaboration and exchange among different stakeholder groups further increases. After finishing my thesis and taking a step back from the entire research and writing process, I quickly realised how easy it was to feel a part of the AI community; being welcomed with open arms, supported and congratulated for becoming part of it. This made me ask whether I had fallen victim to some form of self-censorship during my research. Only allowing myself to think in a way that was generative, thereby gaining a deeper understanding of what AI is all about, and turning a blind eye to some relevant aspects of research persuaded me that this much-discussed idea of the “shadow” might be relevant not only for client interventions, but also for self-reflection for those within the AI community. expense of the quality of its application? Opinions from interviews differed in this regard from seeing the fast growth of AI as a risk to its core values, if done too quickly, to considering this growth as a unique opportunity to spread AI. Based on my experience within this community for the last twelve months, I am convinced that there is a real chance to succeed. Beckhard, R. (1969) Organisation Development: Strategies and Models. Reading, MA: Addison-Wesley. Knowledge. London, UK: Penguin Books. Organisational Change and Development, 1(1), 129–169. Gergen, K. (1993) Refiguring Self and Psychology. Aldershot: Dartmouth. Lewin, K. (1947) Frontiers in Group Dynamics. Human Relations 1(1), 5–41. Mahoney, M. and Granvold, D. (2005) Constructivism and Psychotherapy. World Psychiatry 4(2), 74–77. Alexander Röndigs is an alumnus of esB Business school (Germany) and neOMA Business school (france). He recently graduated from erasmus University (the netherlands) with a focus on organisational change. His master thesis examined the “status quo and potential future of AI”. 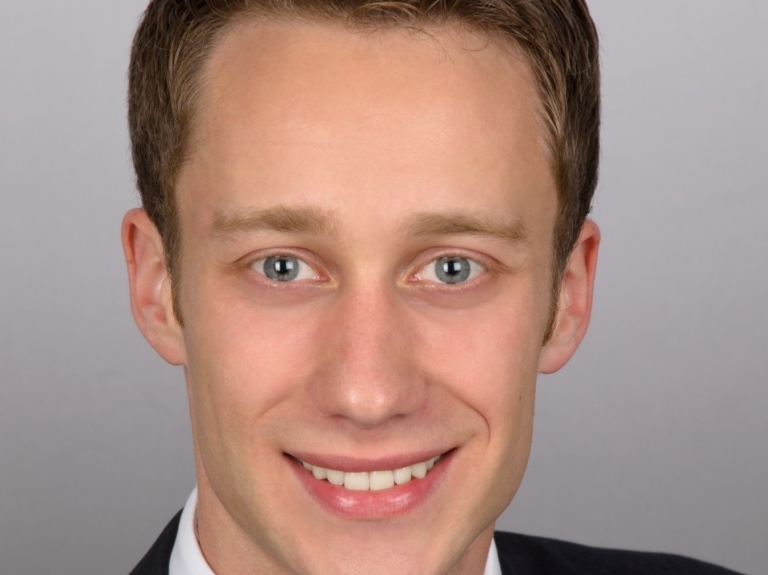 He works as change management consultant at Timmermann Partners, Munich. Once I was a classical singer, having sung Bach’s St Matthew Passion with one the most rewarded choirs, singing opera’s in France and giving recitals for hunderds of people in Sweden. After 15 years daily voicetraining and theoretical music studies I was still an amateur. At that point I realised: “A good amateur is someone who realises how much more it takes to be a good professional.” It made me even more humble towards my singingteacher and professional musicians. My teacher was a famous operasinger. For female singers the menopause is a good moment to step back from the stage and that is what she did. She made place for a new generation to let them shine on stage. She now teaches at the conservatory, helping young students to develop their voice and careers. The basic rule one needs at least 10,000 flight-hours to be a professional is still accurate. A solid foundation in both theory and practice too. Only if the audience likes your performance, they will keep coming back. And even more important, if other professional singers, conductors and musicians like working with you. Not because your nice, but because you know music. If you can make a living out of classical singing, you are at A-level. If your name is Cecilia Bartoli, you are a star. Having a beautiful voice is by far not enough to be a professional singer with a long lasting career. Unfortunately most amateurs are not even good enough as an amateur to know what is takes to be a good professional. Appreciation starts with humbleness for the lineage. Inquiry starts with being honest towards oneself about one’s level of professionality. @Alexander: you are the next generation that will shine on stage. I hope you will continu with a solid mixture of both theoretical studies and practical performance. There is no spiritual shortcut in Appreciative Inquiry. Being an AI professional is hard and joyful work were meaningful moments can be realised.